We know much these days about how to make Web content usable…. What we don’t understand as well, however, is how to make content win users over to take the actions we want them to take or have the perceptions we want them to have. Findable. Scannable. Readable. Concise. Layered. We know much these days about how to make Web content usable—thanks to experts such as Robert Horn, Jakob Nielsen, Ginny Redish, and Gerry McGovern. What we don’t understand as well, however, is how to make content win users over to take the actions we want them to take or have the perceptions we want them to have. We don’t understand how to make Web content both usable and persuasive. I, by no means, intend to imply that we should sacrifice the usability of content to make it more persuasive. Truly winning content must be both. 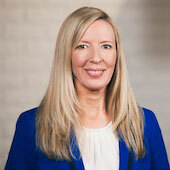 Gerry McGovern’s work perhaps delves deepest into the realm of persuasive content, emphasizing a customer-centric approach and the removal of filler content. However, I think we can do even more to win users over through content. I also remain unconvinced that the extreme minimalism McGovern supports is always appropriate. For instance, the “brutal” concision McGovern espouses in his recent article, “Killer Web Content Examples,” while usually appropriate for headlines, titles, or labels, risks creating the wrong tone in other types of content. As a starting point in the journey toward turning usable content into winning content, this article offers key resources that illuminate the creation of usable content and some tips for creating persuasive content I’ve garnered from my own experience. As a quick refresher, here are some of the tried-and-true essentials for making content usable. As UX professionals, we understand deeply the importance of considering our users. We need to keep users in mind as we approach content. We must anticipate and answer their questions and concerns. Ginny Redish’s Letting Go of the Words provides helpful, well-explained techniques for doing just that. The Nielsen Norman Group also offers articles and reports describing how users read online. Redish, Horn, and Nielsen offer some of the now well-known best practices in creating usable content. Along with Redish’s above-mentioned book, Steve Krug’s Don’t Make Me Think is a useful reference for content layout best practices. The structured writing techniques Robert Horn offers through the training and consulting company Information Mapping have largely stood the test of time. All experts recognize the importance of giving users the content they need and want. McGovern’s Killer Web Content discusses at length the value of removing irrelevant or filler content to enhance the impact of relevant content. To make content persuasive, we need to go further and consider brand, emotional and rational appeals, and more. The common thread through all of these considerations is context. When it comes to persuasion, context is king. If we’re working with content for a company that is highly focused on its brand, we must understand the brand. brand attributes and differentiators—To make the content, and therefore the brand, stand out from the competition, we have to emphasize our brand’s attributes and differentiators. These characteristics should imbue all of our content—without making the content unnecessarily lengthy or unusable. 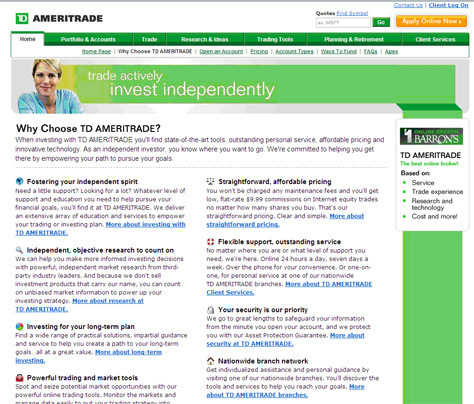 In the online trading world, for example, Schwab emphasizes a personal relationship with its customers (Figure 1), eTrade highlights innovation and strength (Figure 2), and TD Ameritrade stresses independence (Figure 3). brand tone or voice—Redish talks about having a personable or human voice. Considering brand takes that a step further. Our content should have the distinctive voice of our brand. That voice gives the content personality and appeals to our users’ emotions or values. In the case of a brand for a company with a store or other offline presence, its online voice helps bring the qualities of the offline experience to life for customers. 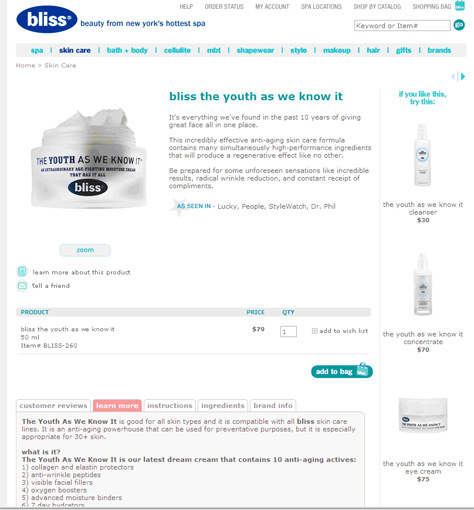 In the Bliss example shown in Figures 4 and 5, the cleverness and fun of their voice pervades the content, whether that content is on the home page or a product page. This voice carries the spirit of the actual Bliss spa experience. To win users over to take the action we want them to take or have the perception we want them to have, we must address both their emotional sides and their rational sides. To win users over to take the action we want them to take or have the perception we want them to have, we must address both their emotional sides and their rational sides. Most people make decisions based on a combination of how they feel and what they think. 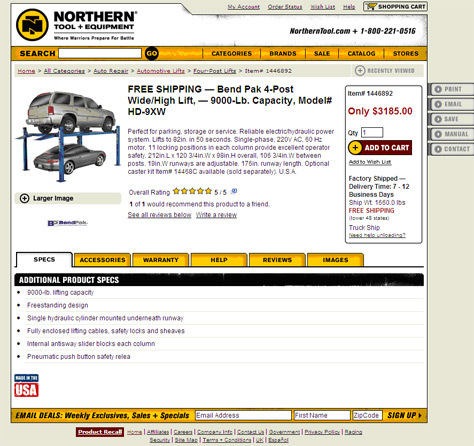 Make both emotional and rational content available on key conversion pages. On landing pages, product detail pages, and other pages that focus on conversion, offer users both types of content. For example, on the Northern Tool product page shown in Figure 6, a concise product description provides key specifications with some emotional language such as perfect. An image of the product in use and the Made in the USA logo tap into people’s emotions as well. A key rational benefit, free shipping, is clearly evident. A ratings summary and product logo appeal to credibility. Additional details are on tabs, most appealing to the user’s rational side. Including content that appeals both to emotion and reason makes customer-care content winning. 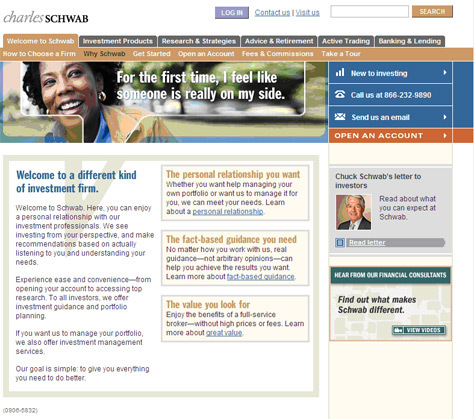 Use self-service channels or options, such as paying a bill online. Remain a loyal customer despite a problem the customer may have experienced. Trust that the company cares about and will take care of its customers’ needs. As with sales content, including content that appeals both to emotion and reason makes customer-care content winning. For instance, to persuade customers to use self-service channels, one could emphasize logical benefits such as 24/7 convenience and eliminating wasted paper, as well as emotional benefits such as feeling in control and pride in caring for the environment. In customer care, voice or tone is important. Preserving the brand voice while conveying empathy requires a delicate balance. The Bliss example shown in Figure 8 softens the cleverness, but does not abandon it entirely. It also conveys a cooperative, helpful tone. In a customer-care context, where customers may be emotional, such as when dealing with medical or financial issues, a neutral-to-empathetic tone is best. Content such as brand, product, or company history; company accomplishments, and the like may appear to be unnecessary fluff. Certainly, a Web site should not have more content about a company’s history than about its products or services, but the presence of such content plays an important role in credibility. Even if users do not read all of that content, they know the content is available, which reassures them about the company or brand’s credibility. Also, in some cases, such content can be a differentiator. 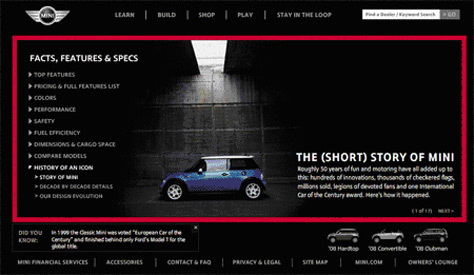 For example, part of the Mini Cooper’s appeal is its history, and the Mini Cooper Web site rightfully includes content about the Mini Cooper story, shown in Figure 9. Users may not read all of that content, but its presence reminds them of the product’s history, evoking some sense of nostalgia. Persuasion is contextual, so we cannot generalize a guaranteed winning content formula from empirical research. We must test content in the specific context. Include some realistic tasks oriented toward content or that involve using content. Present alternative versions of content to users and solicit feedback on their usability and influence. Pay attention to users’ reactions to and comments about content as they complete tasks—regardless of whether a task focuses on content. After experiencing the content, what impressions or perceptions do users have? Why? What questions are not answered in a compelling way? Why? What words do people use to describe the content? Do those words match brand attributes or suggest the content positively influenced them? Do users recognize a distinct, appealing voice or style in the content that fits the brand? Note—Because persuasion can be subtle, users may not be able to articulate why they are having a certain reaction to content or may not articulate it accurately. Rely more on observing reactions and behavior. Redish includes some helpful notes about testing content on her blog, Letting Go of the Words. Other testing techniques such as multivariate testing, which is now available for free through the Google Website Optimizer, or split testing allow us to test the impact of using different words, phrases, or blocks of content in completely real contexts with real users. For instance, in a presentation at CHI Atlanta, the InterContinental Hotels Group shared how they used split testing to determine the difference between using a concise term such as rate and using the more explanatory term average nightly rate in the booking process. They found a statistically significant increase in conversion with the term average nightly rate. A minor downside to multivariate and split testing is that we do not know the reason for the outcome. The reason in the case of the InterContinental Hotels Group was likely the fact that hotel booking Web sites commonly use the term average nightly rate, which is, therefore, a convention that matches users’ expectations and conveys credibility. However, there is no efficient way to know for sure. If you asked users, they likely would not be conscious of such a subtle influence and, therefore, would not be able to explain why anyway. Because it’s difficult to know the reason for an outcome, it’s difficult to extract a lesson you can apply to another similar context. This drawback, of course, is minor compared to the significant benefits of multivariate and split testing. Usability and persuasion together make winning content. Appeal to both the emotional and the rational. Remember even customer care content should be winning. Understand the influence of unread content. By testing and refining your content, you can complete its transformation into content that can’t lose. Many great suggestions here, and the concrete examples are appreciated. I’m particularly glad you emphasize the benefits of testing content. I think many people still assume that user experience testing is only about wizards, buttons, and menus. But as you have pointed out here and in other writings, there is much to be learned by observing people as they interact with content as well. Thanks, Nick! I hope we don’t lose sight of testing the content—whether it’s content that supports an interaction or that is the end goal of an interaction. A related topic that I didn’t include in this article for space reasons is using “cheap tricks.” Sometimes persuasion is mistakenly applied as cheap tricks. Some of the books out there about Web or content writing recommend cheesy, misleading copy or calls to action. Testing helps show why those tricks don’t work. For instance, in testing I observed for a gaming landing page, users viewed calls to action such as “[x number] Games for $.99” as not believable. Those users who did click it were looking for the catch. They found it and felt misled. Great article, Colleen. I always appreciate it when someone takes the time to include screen shots =). For a while now people have said, “Technology used to be the key differentiator. Now it’s usability,” or something similar. I believe that this concept of persuasability (pur-SWAYZ-ability) —that’s what I’m calling it anyway—will trump usability and become the hot topic of discussion in corporate Web strategy meetings everywhere. I would recommend to anyone who’s interested in persuasive technology and interaction design to check out B.J. Fogg’s book. There are lots of interesting concepts, ideas, and research findings that have definitely changed the way I approach user experience design and analysis. Always appreciate when Web copy is given more attention. We have seen many instances where it’s the last part of a Web site design or redesign that is given the focus. This is a nice write up to indicate the part it plays in starting a conversation with the user to help motivate the user toward completing a goal! Scott—I like “persuasability.” Catchy. I agree it’s strategic, and I look forward to more discussion of the topic. B.J. Fogg’s book partly inspired me to think about my long-time interest in persuasion as it relates to user experience—thanks for mentioning his great work. Daniel—I know exactly what you mean by content—especially copy—becoming an afterthought, not part of an integrated strategy. Much of the content discussion seems to be about either usability or managing it through a CMS. All important, but they can do only so much if the content being used or managed is lackluster.